These days, everyone is talking about how the way we work is changing, especially as communication and collaboration tools facilitate our productivity. Productivity isn’t only about e-mail, conferencing, spreadsheets, calendering, and typing at a keyboard. Today, getting work done through a voice interface is just appearing on the horizon. It was a hot topic at Apple's recent WWDC 2016 held in San Francisco. During the conference, a group of Apple's software engineers unveiled CallKit, a new framework that lets VoIP apps integrate with the native Phone UI. 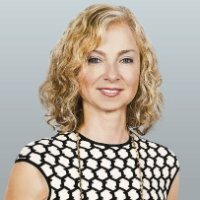 Trendwatchers like KPCB’s Mary Meeker have also highlighted the emerging importance of voice; in her recent 2016 Internet Trends Report, Meeker asserted that “voice should be the most efficient form of computer input.” It makes sense. After all, people speak an average of 150 words per minute compared to typing 40 words per minute. Over the next five years, talking into various devices will become increasingly prevalent, and it will impact not only our lives as consumers, but also the way we work. Already, your voicemail can be sent to your phone and converted into a text. As an alternative to text-based messages, Apple lets you send voice-based messages through iMessage. If you specifically want to send a text, you can speak into your phone, which will convert your speech into text. This no longer requires special software; phones come embedded with this technology. We’re quickly evolving from the days of tapping away on small smartphone keyboards. With the advent of wearables, it's not hard to imagine the near-future of voice commands on smartwatches to get work done. Voice interfaces will make working more productive and time efficient. What if you had a voice-based personal assistant, like Siri on the iPhone, but more advanced? For example, if you’re talking about an action item, you could be prompted by your system: “Would you like me to schedule a task?” or “Would you like me to schedule that meeting now?” Notes from your meeting, whether in-person or virtual, could be transcribed with follow-up tasks scheduled and assigned with minimal, if any, in-person intervention. Or what if starting a conference call were as easy as saying “Start my XYZ conference call,” and you could avoid the hassle of punching in a bunch of numbers, or finding a specific link to start a meeting? Voice will become an important interface, with voice transcribed into text inline while you’re reading or typing a document. Especially as accuracy of voice transcription improves even more, adoption of this technology will grow. Many of the systems we use in our consumer lives are introducing us to interacting with voice assistants. We’re becoming more familiar with voice assisted technologies on our mobile devices especially. And voice assistance in vehicles is already showing up in cars such as Tesla. 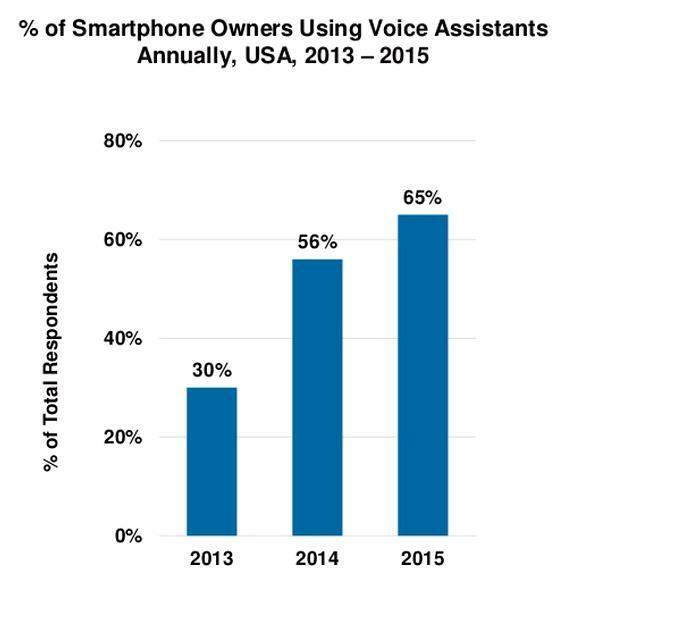 Adoption of voice assistance (i.e. Siri) on smartphones is as high as 65 percent as cited by Meeker in her latest Internet Trends report. Voice assistance is such a burgeoning technology that I anticipate this will be the communications area where we’ll see the most rapid innovation taking place over the next couple of years. Particularly as integrating one powerful application with another becomes easier, it will be exciting to witness how much more efficient and hands-free our work productivity will become as voice interfaces increasingly become the next big thing.